The BBC has reached a “provisional finding” to uphold complaints made by Palestinian activists that the broadcaster breached its editorial guidelines in a “soft” interview with the Israeli defense minister. Complaints focused on BBC journalist Sarah Montague’s alleged failure to challenge controversial claims made by Israeli Defense Minister Moshe Ya’alon. Journalist Amena Saleem, who works with the Palestine Solidarity Campaign (PSC), wrote on Electronic Intifada that she received an email last week from the BBC’s Editorial Complaints Unit (ECU) indicating grievances lodged by the PSC would be upheld. However, a BBC spokesperson said the finding was “provisional” and the outcome was yet to be finalized. 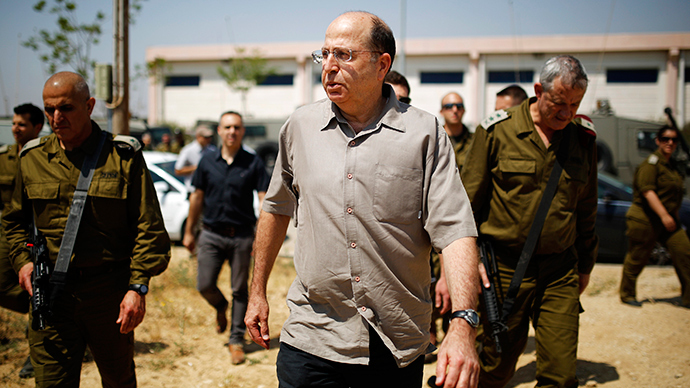 According to a PSC transcript of the interview, broadcast on BBC Radio 4’s flagship news program “Today” on March 19, Ya’alon said that Palestinians enjoy political independence. If the complaint is upheld, it is the second time in recent months the ECU has censured the state-run corporation for its pro-Israel bias. In Montague’s interview with Ya’alon, the senior BBC journalist failed to address misleading statements by the Israeli defense minister. The PSC has challenged Ya’alon’s statement, claiming Palestinians live under occupation and, in Gaza, under siege. According to Hassan Jabareen, head of the Legal Center for Arab Minority Rights in Israel (Adalah), Israel has 45 laws that can be considered discriminatory against Arab citizens of Israel. “The discrimination started with laws related to land before it turned to laws related to humans; new laws now target citizenship, identity and freedom of speech," he told the Journal of Turkish Weekly last week. Saleem claims the ECU sent her an email in which they upheld the complaints against the broadcaster. “The result was that the output fell below the BBC’s standards of impartiality,” he added. The broadcaster has come under scrutiny from Britain’s communications regulator Ofcom in recent years. Ofcom ruled the comments had no context and were inappropriate for a younger audience. Montague was responsible for another slip-up in 2013, when crime writer Lynda La Plante used the word “retard” during an interview on the Today program. Montague changed the subject during the interview in an “implicit criticism,” but Ofcom said she should have addressed the point more explicitly.